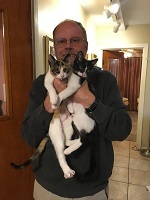 Please note: When you click on a collection of photos, the page will refresh, and it may take a moment for the collection to load. Please be patient! 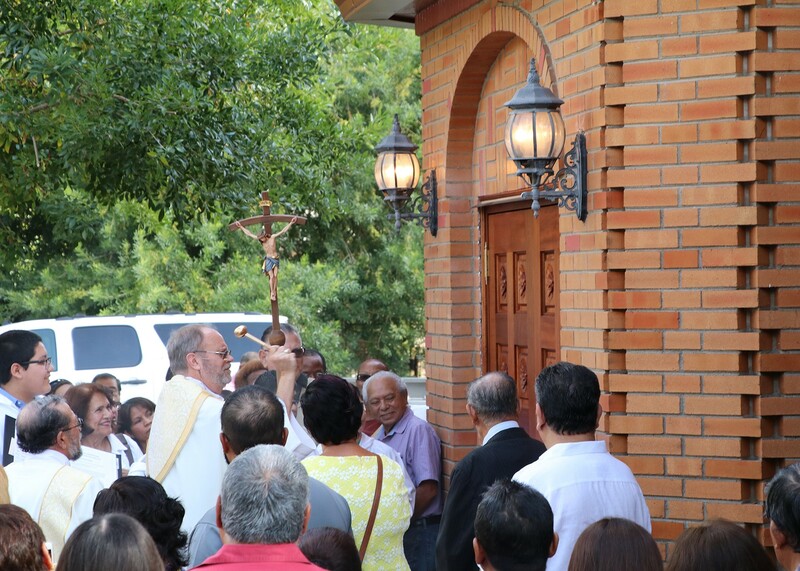 To honor and celebrate the feast of Our Lady of Sorrows our community came together for mass, a procession of our statue, and a festival! Our Lady was truly looking out for us and celebrating with us on this beautiful day. In honor of Our Lady of Sorrows and with a focus on the theme of discipleship at the foot of the cross, we have placed three beautiful new statues and a crucifix in the narthex of our church. 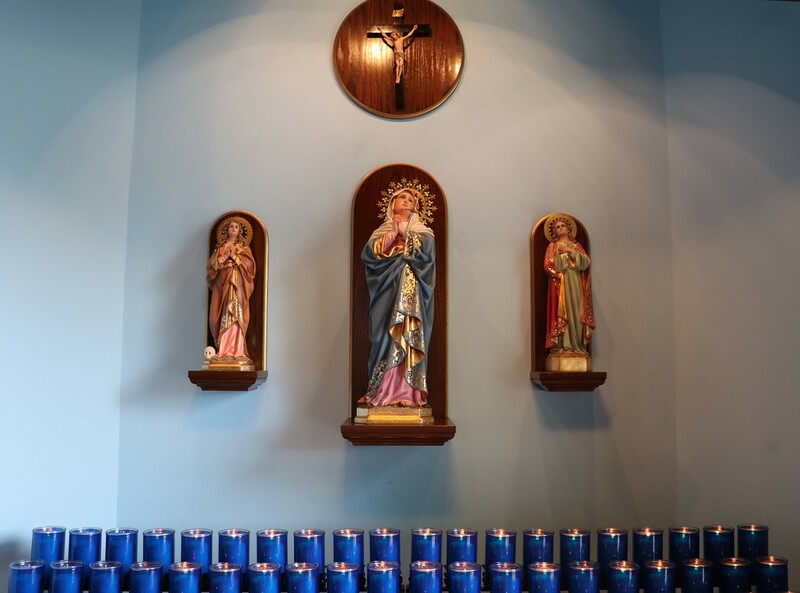 We installed these statues and blessed our new shrine during Mass, and we now welcome all to come and light a candle, asking for Our Lady's intercession. 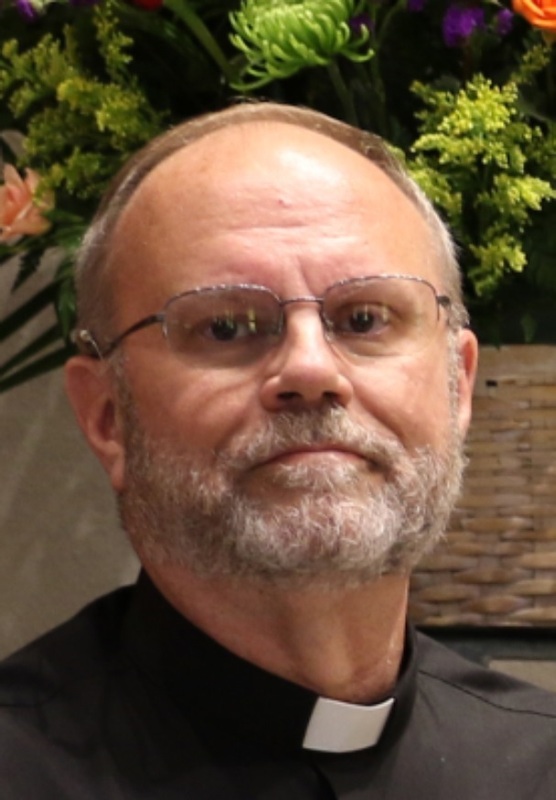 Happy birthday, Fr. David! 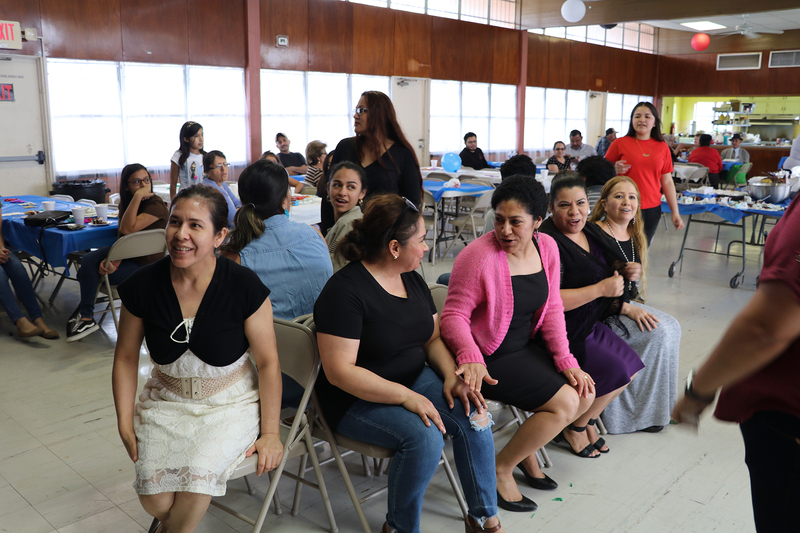 Our community came together to celebrate our pastor's birthday with food and fun. Check out the pictures of this event! 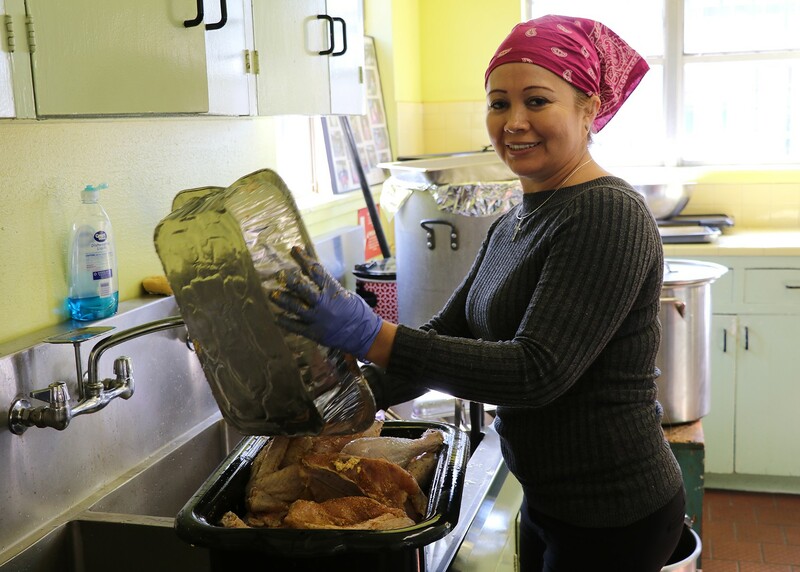 We enjoyed this year's annual Thanksgiving Dinner! 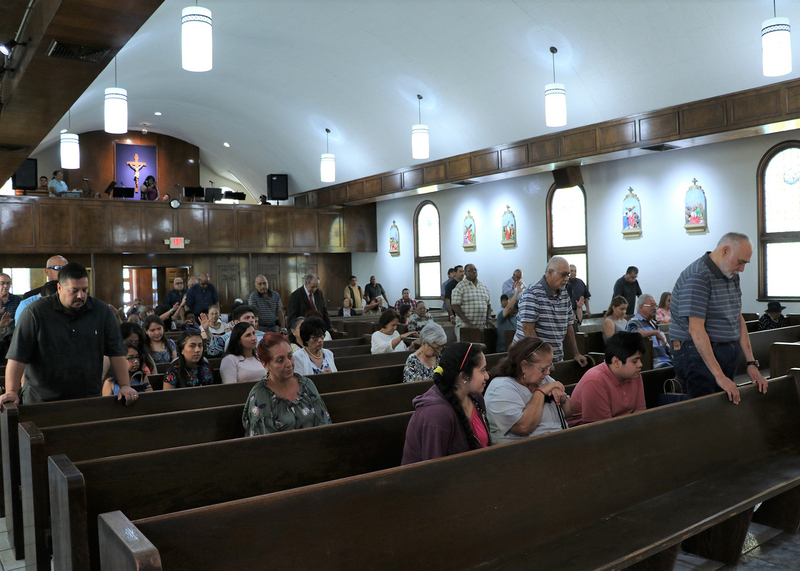 We're glad so many families could join us in the Parish Hall to celebrate and give thanks to God for His many blessings. Take a look at some photos from the day. 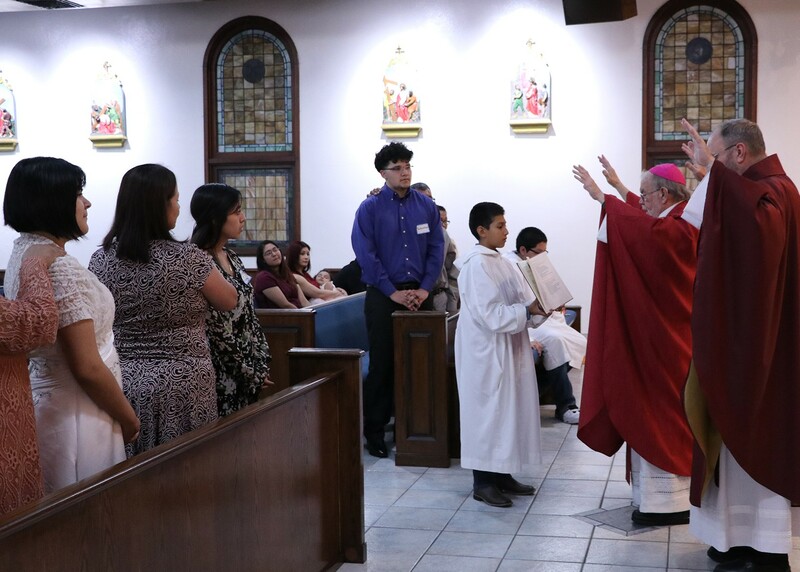 Five young people became full members of the Catholic Church through our Confirmation program this year. May the Holy Spirit remain with them always, guiding them and strengthening them to live as true disciples of Christ Jesus! 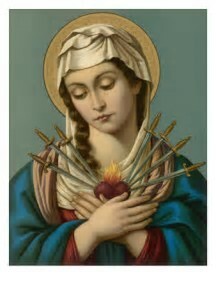 We had a beautiful gathering to celebrate the Feast of Our Lady of Sorrows. 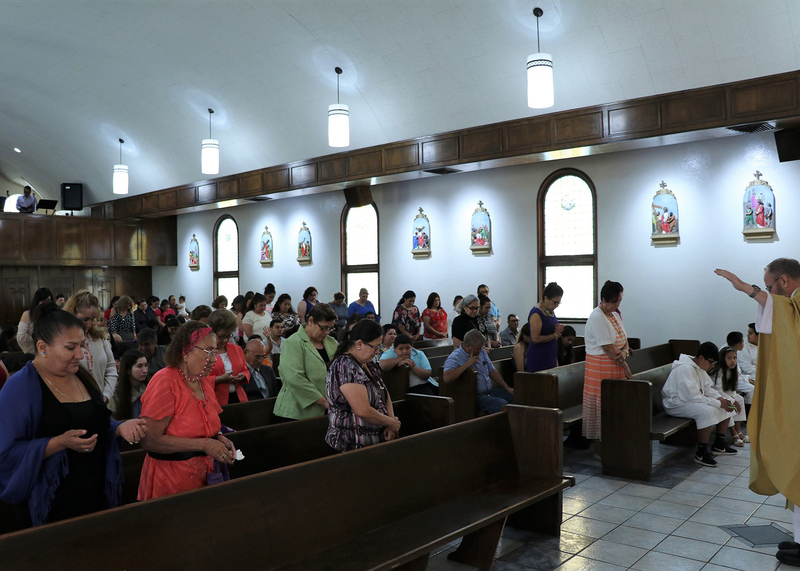 We came together in our newly refinished church to participate in Mass then enjoyed watching Danza Azteca Itzcautli and the Cielito Lindo folkloric ballet, listening to Sonido DJ Bronco Loco, and eating the food prepared and served by a wonderful group of parishioners. Thank you to all the fathers that teach us on how to become a better person. This day is a celebration of all the fathers. Thank you to all the mothers that guide us and cherish us. This day is to celebrate the gifts of mothers and women on mother's day. 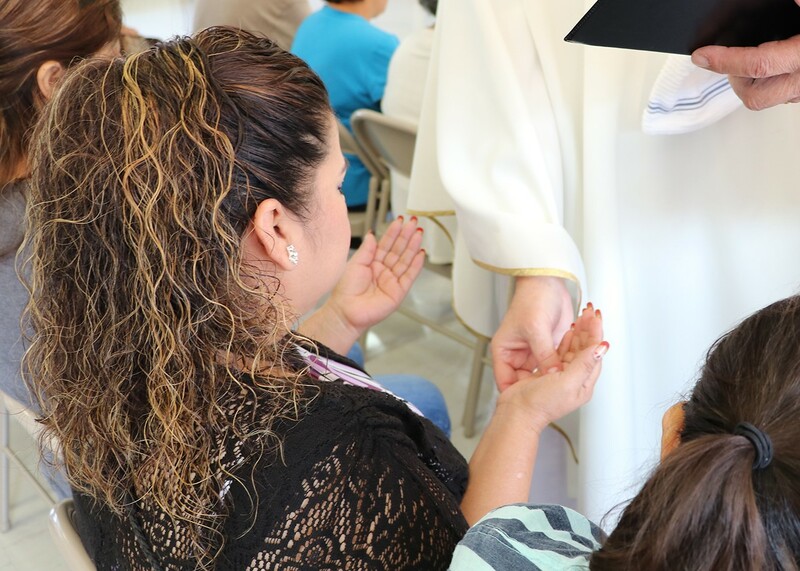 Masses dedicated to the sick that include the Sacrament of Anointing of the Sick are a sign of God's love for us. 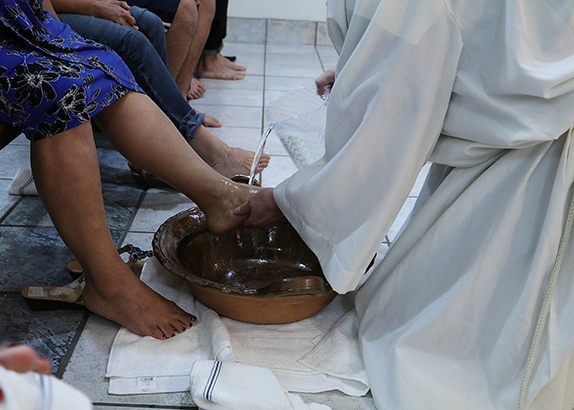 We end Lent and enter into the joy of the Easter Season with the foot washing (Holy Thursday) and Confirmation (Easter Vigil)! Sunday Morning Breakfast - Yum! 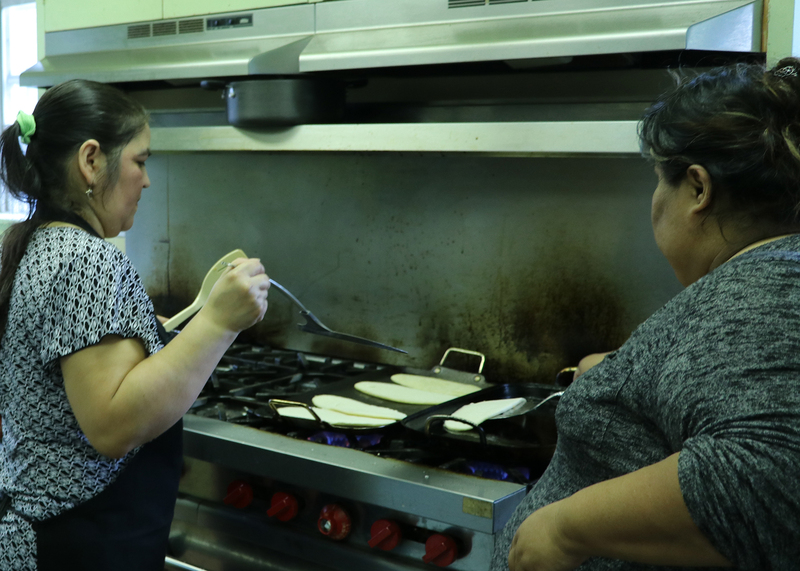 A very generous group of ladies in our parish routinely give of their time and cooking talent to prepare breakfast for our parishioners after the 8:00 AM Sunday Mass. We had a very merry Christmas party filled with gifts and glowing smiles! 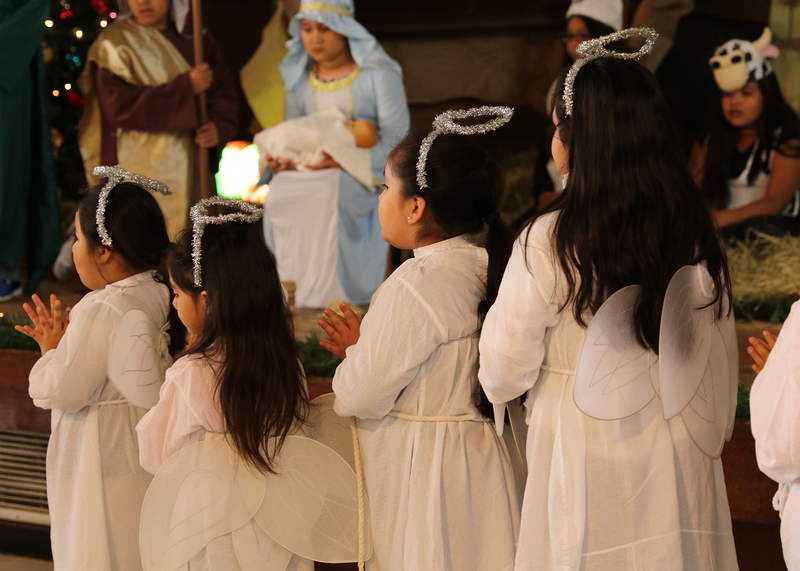 Thank you to all of our parishioners who dressed up and danced for us in the parish hall! 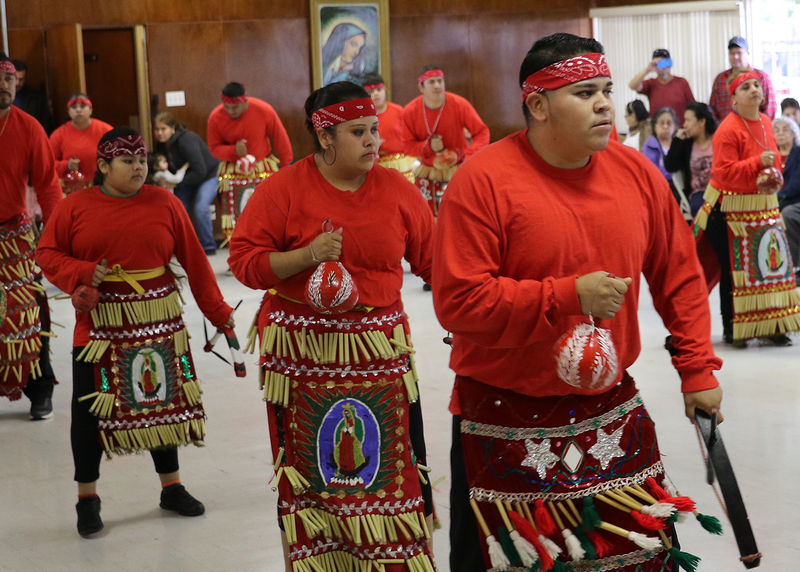 You helped make this celebration of the Feast of Our Lady of Guadalupe special! 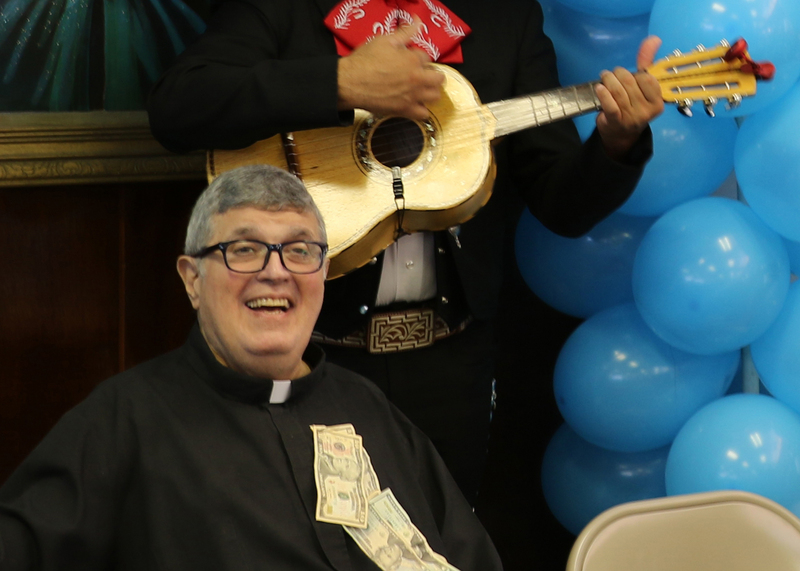 Our community enjoyed a fun afternoon in the parish hall celebrating the birthday of our beloved Fr. Conde. 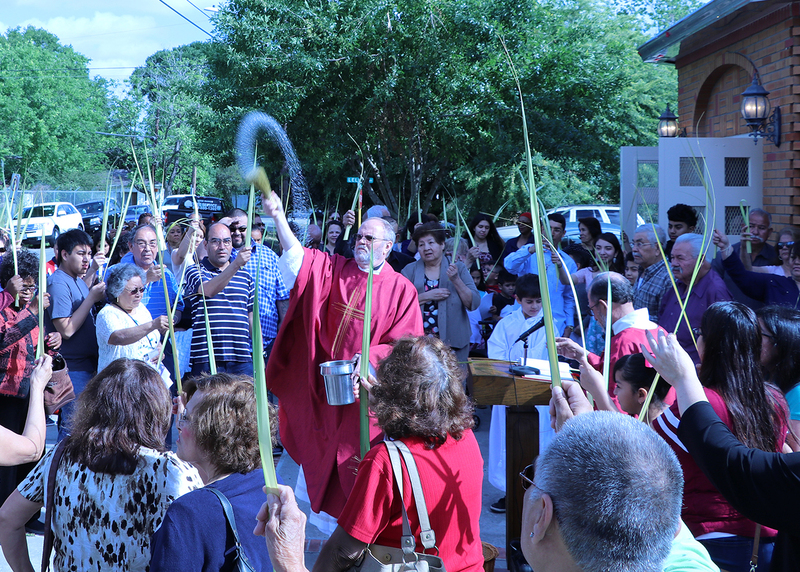 We invite the youth of the parish to gain volunteer hours at any of our events by taking photos to be used on the website and in the bulletin. Get in touch with our business manager if you're interested in taking advantage of this opportunity!